While you know your dentist plays a starring role in the health of your mouth and teeth, dentists are more likely to be found behind dental loupes instead of standing center stage. From valiant patriotism to athletic prowess, here are the stories of six famous people you didn’t know were dentists. Paul Revere is most famously known for his 1775 midnight horseback ride to warn Massachusetts patriots that British troops were on the move. Though he did not ride from Lexington to Concord yelling “the British are coming,” Revere did actually have a successful career as an amateur dentist. Advertising himself as being able to replace missing teeth “in such a Manner that they are not only Ornament, but of real Use in Speaking and Eating,” Revere used his silversmith skills to wire artificial teeth made from animal teeth and walrus ivory into his patients’ mouths. Revere’s prosthetic teeth did more than purportedly restore the lost aesthetics and function of missing teeth. 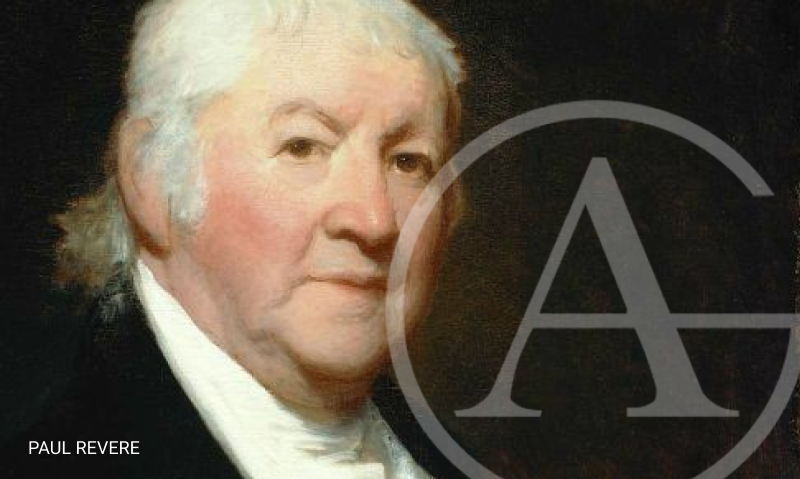 In March 1776, Revere and a search party began looking for the body of Dr. Joseph Warren, Revere’s close friend and patient, who was killed in the Battle of Bunker Hill in June 1775. When the search party discovered a grave with two unidentifiable bodies, Revere was able to identify Dr. Warren by the walrus ivory and wire Revere had used to fashion a false tooth for the doctor. Dr. Warren was given a proper burial and, unbeknownst to him, Paul Revere became our nation’s first forensic dentist! Before he took to a life of drifting, drinking, and gambling, American frontiersman Doc Holliday (born John Henry Holliday) graduated from Pennsylvania College of Dental Surgery in 1872 and briefly practiced dentistry before contracting tuberculosis. Though he was told he only had a few months to live, Holliday garnered a raucous reputation of fighting and killing over the next 15 years, until his death in 1887, at the age of 36. Far from dentistry, Holliday is most famously remembered for participating as a temporary policeman in the Gunfight at the O.K. Corral–a 30-second shootout between lawmakers and outlaws in Tombstone, Arizona Territory on October 26, 1881. Before Green Acres was the place to be, American actor Edgar Buchanan ran a dental practice with his wife, Mildred, who he’d met at the North Pacific College School of Dentistry in the 1920s. After moving their dental practice from Eugene, OR to Altadena, CA in 1939, Buchanan began his acting career with the Pasadena Playhouse. After appearing in his first film, Buchanan left dentistry and turned his dental practice over to his wife (though he did play a dentist in the 1941 film Texas). Most famously known for his role as Uncle Joe Carson in Petticoat Junction, Green Acres, and The Beverly Hillbillies, Buchanan went on to appear in over 100 films and 60 television series between 1939 and 1974. Given the pseudonym Albert Dussel in Anne Frank’s famous diaries, Friedrich Pfeffer was a German dentist and Jewish refugee who hid with Anne Frank and her family during the Nazi occupation of the Netherlands. After leaving Germany for Amsterdam in 1938 to escape persecution, Pfeffer began a dental practice that would eventually introduce him to the Frank family. Toward the end of 1942, Pfeffer went into hiding with 7 others at the Secret Annex in the Frank family home. To make space for the addition of an extra person, Anne and Pfeffer had no choice but to become roommates. It’s speculated that the 40-year age gap and the constant stress of hiding provoked Anne’s unfavorable representation of Pfeffer (“Dussel,” the pseudonym Anne chose for Pfeffer, means “idiot” or “donkey” in German). After two long years of hiding, the eight occupants of the Secret Annex were discovered and sent to Nazi Concentration Camps, where all but Anne’s father, Otto Frank, would perish. In addition to being the only Ohio State University baseball player to have his jersey number retired, Arlin was inducted into the College Baseball Hall of Fame in 2008. After he retired from baseball, Arlin returned to university to become an endodontist (tooth root specialist). He opened and ran his own practice in San Diego for 25 years before retiring in 2004. Texas native and dentist Monica F. Anderson (affectionately known as “Dr. mOe”) is also a celebrated journalist, author, and motivational speaker. In addition to hosting her own television program (Perpetual Moe-tion), and writing a weekly lifestyle column for the Fort Worth Star-Telegram, Anderson is best known for publishing six books, including two bestsellers (When a Sistah’s FED UP and I Stand Accused). An avid blog writer and podcast creator, Dr. mOe continues to share her passion for inspiring and empowering others through her work as a motivational speaker, freelance journalist, coach, and mentor. While our Dr. Alhadef isn’t standing on any stages, he is famous in the best possible way: He’s famous with his patients for the excellent care they’ve received from him and the entire team. Come rub elbows with our very own famous dentist by making an appointment.